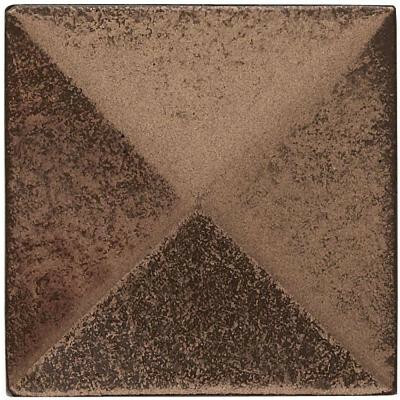 Weybridge Classic Bronze 2x2 pyramid dot tile is a real premium metal permanently protected by Q-Seal, an antimicrobial and antibacterial sealant providing superior stain and scratch resistance for long lasting beauty and easy maintenance. These decorative tiles are designed to be used in wet and drywall applications, perfect for kitchen backsplashes and bathroom showers and tub surrounds. These Weybridge tiles are made in Vermont USA. You can buy this product in our internet market. We will be glad if you make the right choice.